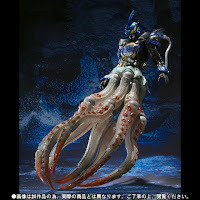 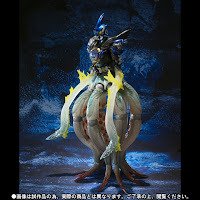 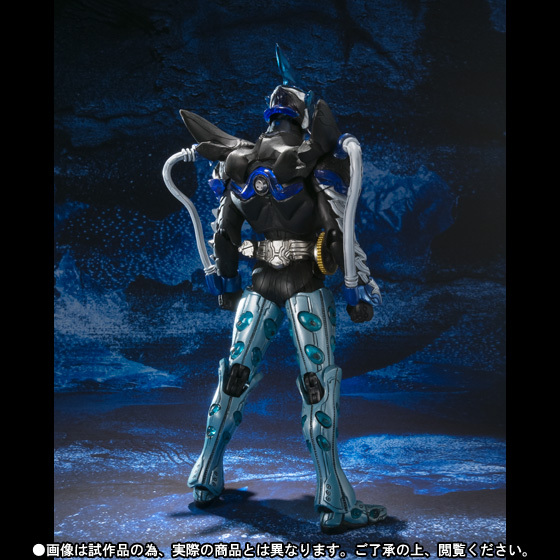 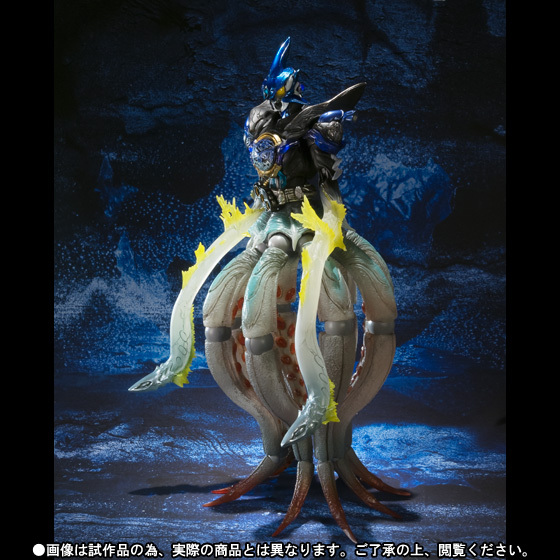 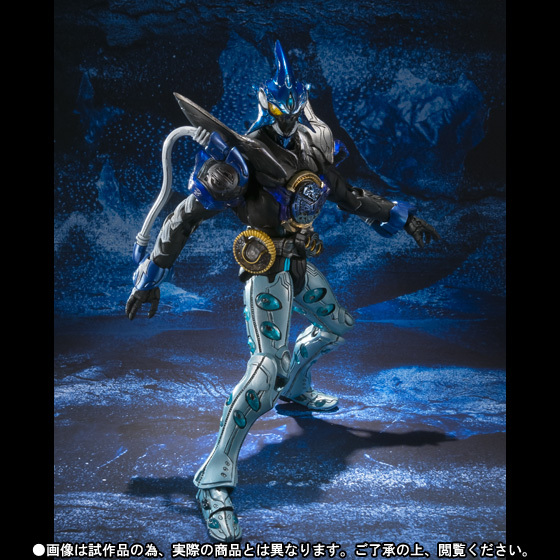 The figure stands about 190mm and will be inclusive of the Shachi, Unagi & Tako Core and Cell medals, 5 pairs of interchangeable hands and effect parts for his Octo Legs and Unagi Whips. 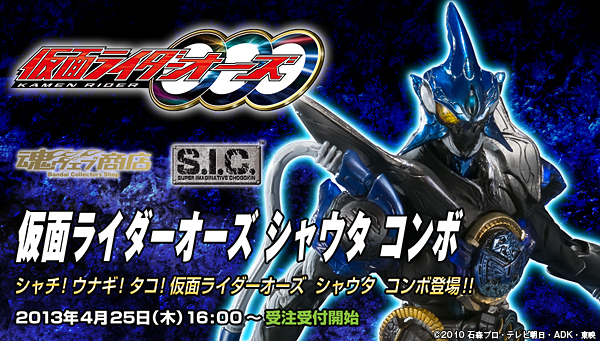 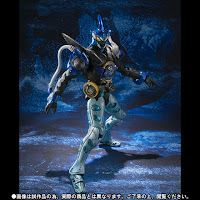 First seen during the Tamashii Nations 2012 event, the S.I.C. 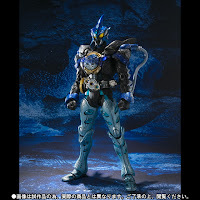 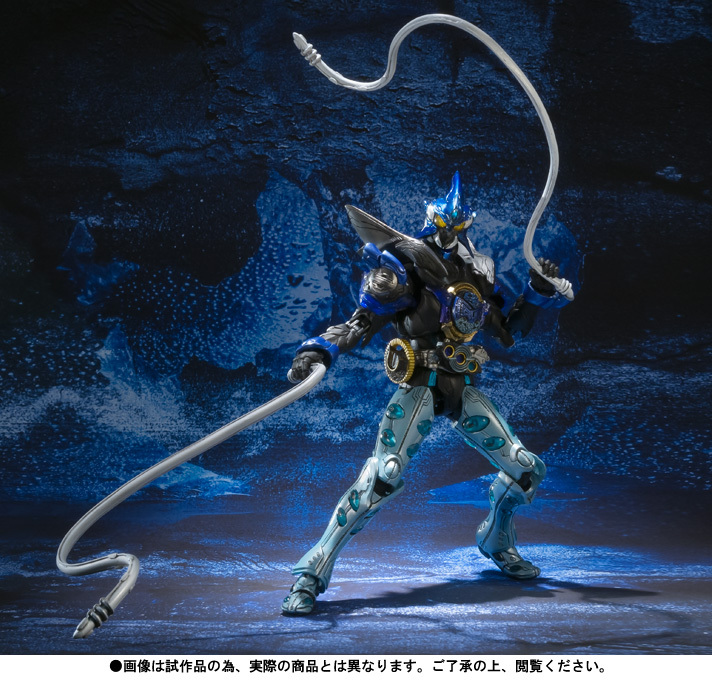 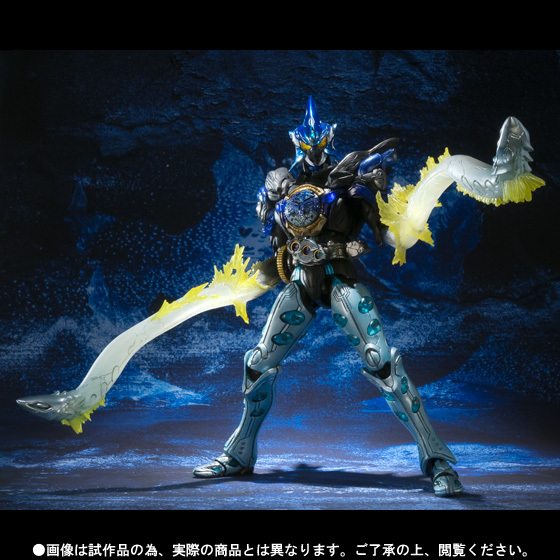 Kamen Rider OOO Shauta Combo will be retailing for 7,875 yen.